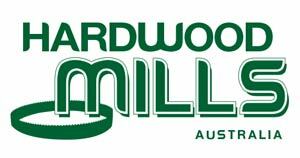 Hardwood Mills Australia has been in the timber cutting business for over ten years. Our experience with Australian hardwoods means you get the most innovate cutting machines to process timber. All our products are produced in Australia specifically for Australian hardwoods and harsh Australian conditions. Our bi-metal saw blades are the best in the business. You can purchase our bi-metal saw blades as a single unit or in multiples of two, three, five or ten. They are perfect for the GT26 Sawmill. Each blade should be used no more than 2.5 hours before re-sharpening and can be sharpened up to seven times. The sharpening process takes approximately 20 minutes. For a full day’s work, three blades should be adequate and can then be sharpened overnight with our DINASAW bandsaw sharpeners. Devoting so much time and energy to ensuring we provide only top-quality products is what makes Hardwood Mills Australia the only place to find the right cutting tools for processing Australian hardwood. Our knowledgeable staff is always here to answer questions and ask them as well. We want to make sure you have the right machine, and bi-metal saw blades for the job. Our real-world experience cutting the hardest timber in the world is something we enjoy sharing with our customers. We also provide safety information to keep you and your workers safe while operating our portable sawmills. For more information on our bi-metal saw blades, contact one of our experienced staff members. We’re here for you after your purchase to help resolve any issues you might have.